Part 1 of Cell! Cell!, featuring Rebecca Skloot, journalist and author of The Immortal Life of Henrietta Lacks. Part 2 of Cell! Cell!, featuring Randy Schekman, molecular and cell biologist at the University of California, Berkeley. Part 3 of Cell! Cell!, featuring Rebecca Skloot, journalist and author of The Immortal Life of Henrietta Lacks, and Randy Schekman, molecular and cell biologist at the University of California, Berkeley. Part 4 of Cell! Cell!, featuring Fred Gage, neurobiologist at the Salk Institute, and Randy Schekman, molecular and cell biologist at the University of California, Berkeley. Part 5 of Cell! Cell!, featuring Rebecca Skloot, journalist and author of The Immortal Life of Henrietta Lacks, discussing the Lacks family's reaction to learning about what became of Henrietta's cells. Part 2 of Life of Brain, featuring Michael Gazzaniga, neuroscientist and director of the University of California - Santa Barbara’s SAGE Center for the Study of the Mind. Author of Human: The Science Behind What Makes Us Unique. Part 4 of Life of Brain, featuring Steven Rose, biologist and director of the Brain and Behavior Research Group at the Open University in London. Author of The Future of the Brain: The Promise and Perils of Tomorrow’s Neuroscience. Part 5 of Life of Brain, featuring Ed Boyden, neuroscientist at MIT’s Media Lab and Department of Biological Engineering. There are a lot of scientific claims out there – how do you separate the good from the bad and the outright fraudulent? Experts failed to do so for years in the case of a physicist whose published papers claimed the invention of a new bio-based transistor. Plus, other stories of deceit – such as the scientist who stooped to coloring mouse fur with markers. Also, why climate science is solid, but its scientists need to be more open with the public. And, from the undersea “bloop” to the Denver airport conspiracy theory. Why urban myths are so popular. Plus, Phil Plait describes someone’s plans to meditate away the Gulf of Mexico oil spill. Part 1 of Skeptic Check: Fraudcast News, featuring Phil Plait, Astronomer, keeper of badastronomy.com and author of Death from the Skies! : These Are the Ways the World Will End . . ..
Part 2 of Skeptic Check: Fraudcast News, featuring Eugenie Samuel Reich, news reporter and author of Plastic Fantastic. Part 3 of Skeptic Check: Fraudcast News, featuring Michael Shermer, publisher of Skeptic Magazine and columnist for Scientific American. Part 4 of Skeptic Check: Fraudcast News, featuring Sheila Jasanoff, Professor of science and public policy at Harvard University. Part 5 of Skeptic Check: Fraudcast News, featuring Brian Dunning, Science journalist and producer of the podcast Skeptoid. For this week's show, Alien Invasion, Molly traveled to the Cleveland National Forest in San Diego County to cover the story of the Gold Spotted Oak Borer, a beetle invading swaths of Live Oak forest. There she met U.C. Riverside biological control specialist – and entomologist – Mark Hoddle and graduate student Vanessa Lopez, who are trying to stop the invasion. You can view the photos below as a slideshow by clicking the play button (on the far right under the main photo), or click on the main photo to advance to the next one. They’re heeeere! Yes, aliens are wreaking havoc and destruction throughout the land. But these aliens are Arizona beetles, and the land is in California, where the invasive insects are a serious problem. And what of space-faring aliens? We have those too: how to find them, and how to protect our planet – and theirs. 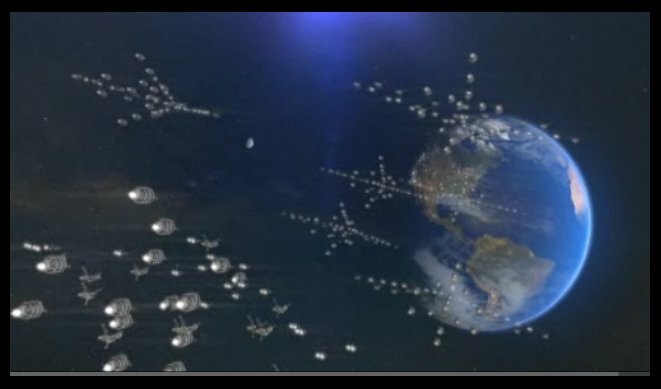 From Hollywood to SETI’s hi-tech search for extraterrestrials, aliens are invading Are We Alone? Part 7 of Alien Invasion, featuring Mark Hoddle, Biological Control Specialist at the University of California, Riverside and Vanessa Lopez, graduate student in entomology, University of California, Riverside in the search for a tree destroying insect invading the Cleveland National Forest in California. Part 6 of Alien Invasion, featuring Margaret Race, biologist and Principal Investigator at the SETI Institute, and Margaret McLean, director of bioethics at the Markkula Center for Ethics, Santa Clara University. Part 5 of Alien Invasion, featuring Andy Ihnatko, journalist and tech blogger. 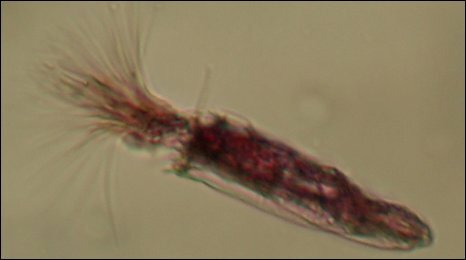 Part 4 of Alien Invasion, featuring Mark Hoddle, Biological Control Specialist at the University of California, Riverside and Vanessa Lopez, graduate student in entomology, University of California, Riverside in the search for a tree destroying insect invading the Cleveland National Forest in California. Part 3 of Alien Invasion, featuring Frank Drake, Senior Scientist, SETI Institute. Part 1 of Alien Invasion, featuring Mark Hoddle, Biological Control Specialist at the University of California, Riverside and Vanessa Lopez, graduate student in entomology, University of California, Riverside in the search for a tree destroying insect invading the Cleveland National Forest in California. Dr. Robot, I presume? Your appendix may be removed by motor-driven, scalpel-wielding mechanical hands one day. Robots are debuting in the medical field… as well as on battlefields. And they’re increasingly making important decisions – on their own. But can we teach robots right from wrong? Find out why the onslaught of silicon intelligence has prompted a new field of robo-ethics. Plus, robo-geologists: NASA’s vision for autonomous robots in space. Part 1 of Robots Call the Shots, featuring P.W. Singer, director of the 21st Century Defense Initiative at the Brookings Institution, and the author of Wired for War: The Robotics Revolution and Conflict in the 21st Century. Part 2 of Robots Call the Shots, featuring Pablo Garcia, principal engineer working on medical robotics at SRI International, Menlo Park, California. Part 3 of Robots Call the Shots, featuring Robyn Asimov, daughter of author Isaac Asimov on the three laws of robotics. Part 4 of Robots Call the Shots, featuring Wendell Wallach, Chair of a technology and ethics working group for Yale University’s Interdisciplinary Center for Bioethics, and the co-author of Moral Machines: Teaching Robots Right from Wrong. Part 5 of Robots Call the Shots, featuring Robert Anderson, Planetary geologist, NASA’s Jet Propulsion Laboratory, discussing robot and rover autonomy. On Friday, April 30, 2010, Seth appeared as part of a panel on Larry King Live, to discuss Stephen Hawking's assertion that intelligent aliens would most likely be hostile. The panel also includes astrophysicist Michio Kaku, science fiction author David Brin, and comedian Dan Aykroyd. On a recent TV show, famed physicist Stephen Hawking said that we should go easy in our attempts to interact with aliens, because – after all – any contacts would surely be with more advanced beings than ourselves, and if they came to Earth (or sent their robotic emissaries), the results could be bad news. Hawking’s statement is certainly congruent with what we know of our own history. When the Spaniards landed in the New World, they decimated the local culture. Even when intentions were thoroughly benign, such as when Captain Cook flitted about the islands of the South Pacific in the late 18th century, the result was a dramatic change in lifestyle for the natives. Clearly, the historic precedent for a visit by another culture is riddled with disaster. Still, we needn’t fear that any aliens we hear with our SETI experiments will scramble their spacecraft and head for our planet. And that’s because they won’t know we’ve tuned them in. Putting it bluntly, SETI poses neither danger nor cause for worry. However, suppose we send messages to the stars, either by answering a detected signal, or simply broadcasting inquiries to space? Is there danger in that? Might the aliens – whose mindset we cannot accurately guess – be likely to wreak havoc and destruction on our planet? That seems a priori fairly unlikely. After all, the receiving civilization would be far more advanced than ours (at least from a technical standpoint), and random destruction hardly sounds like something they would find useful. But no matter what your opinion of the alien mind-set may be, worrying about broadcasting our presence is silly – after all, we’ve been transmitting signals for more than a half-century. Our TV, our radars … even the light from our cities. The truth is out there. Such “leakage” signals would be hard to find, of course. But any society that could possibly be a threat – any society that could come here on an alien wilding expedition – would have telescopes and antennas far larger than our own. They could find the signals that we’ve been sending willy-nilly into the cosmos since the Second World War. So it hardly pays to worry about them. That horse has left the barn. So here’s the bottom line, as I see it. The suggestion that we should keep mum … not just now, but forever … is, to put it mildly, unwarranted. Sylvia Earle, winner of the 2009 Ted Prize for her plan to create a global network of protected marine areas, will be celebrated again this week for her dedication to saving the world's oceans. 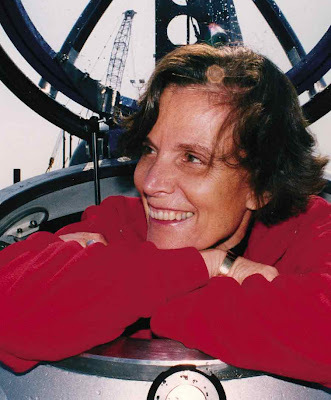 On April 28th, the Stevens Center for Science Writings is awarding Earle the 2010 Green Book Award in recognition of her commitment to raising awareness of our imperiled marine environment in such books as "Exploring the Deep Frontier," "Sea Change," and "The Atlas of the Ocean." You can hear our interview with Sylvia Earle in this week's encore presentation of Seas the Moment. A recent BBC story highlights the lengths to which life will go to survive in extreme environments. Three species of Loriciferans were discovered living in the sediment of the L'Atalante basin in the Mediterranean Sea. The basin is over 2 miles deep and almost entirely depleted of oxygen. Professor Danovaro, who heads Italy's Association of Limnology said the discovery represents a "tremendous adaptation for animals which evolved in oxygenated conditions". Hear more about extreme living environments in this week's show Habitats Not For Humanity. Part 1 of Seth's Crawl Space, featuring Larry Squire, professor at the University of California San Diego School of Medicine and a scientist at the V.A. Medical Center in San Diego. Part 2 of Seth's Crawl Space, featuring Oliver Morton, journalist and author of Eating the Sun: How Plants Power the Planet. Part 3 of Seth's Crawl Space, featuring Fred Sharpe, Executive Director and Principal Investigator at the Alaska Whale Foundation. Part 4 of Seth's Crawl Space, featuring a trip to the Computer History Museum in Mountain View, CA. Part 5 of Seth's Crawl Space, featuring Nathan Myhrvold, CEO of Intellectual Ventures. In this week's show, Phil Plait discusses the story of the ADE 651, a purported bomb detecting device used by Iraqi security forces and deemed useless by the U.S. military. 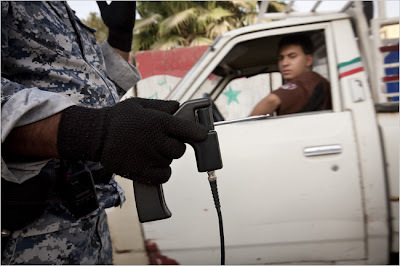 It is a small hand-held wand with an antenna and is used at hundreds of security checkpoints in Iraq. “I don’t believe there’s a magic wand that can detect explosives,” said Maj. Gen. Richard J. Rowe Jr., who oversees Iraqi police training for the American military. “If there was, we would all be using it. I have no confidence that these work.” Iraq has purchased more than 1500 of the devices for tens of thousands of dollars each. Part 3 of Skeptic Check: Conspiracy!, featuring Matt Lowry, high school physics teacher and keeper of the Skeptical Teacher web site, lamenting the sale of "ghost meters" by an otherwise reputable science supply distributor. Part 4 of Skeptic Check: Conspiracy!, featuring Jim Underdown, Executive Director, Center for Inquiry, West – Los Angeles. A substantial reward for the demonstration of paranormal abilities attracts a bevy of interesting characters. Part 5 of Skeptic Check: Conspiracy!, featuring Jonah Lehrer, contributing editor at Wired magazine and author of How We Decide.